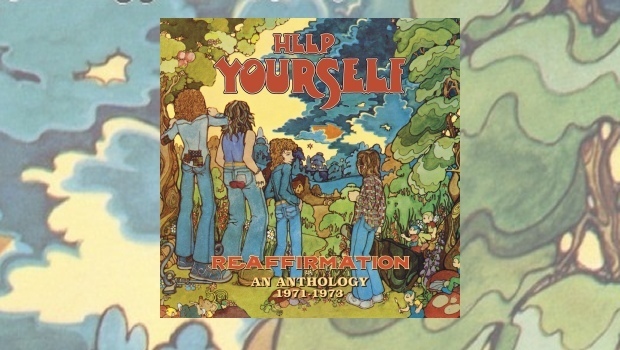 Esoteric Recordings have come up trumps with this delightful career-spanning retrospective of English band Help Yourself. Featuring tracks from all four of the group’s studio albums issued during the band’s short lifespan, plus singles and rare live cuts, Reaffirmation does just that, reminding me of just how polished this band of charmingly stoned hippies actually were. The album ends with Eddie Waring, taken from the limited edition 10-inch double album Christmas At The Patti, also now available on Esoteric Recordings. Curated by Man this was the live document of Man’s 1972 Xmas party with various musical friends held in their home town of Swansea. Here, the Helps are augmented by Man’s Deke Leonard (now back in the fold), who wrote the tune, which is little more than a jam in the classic Man tradition. Leonard used to give his works-in-progress working titles after British TV presenters, hence the odd track title. Also appearing is a certain BJ Cole, then of Cochise, but now long-renowned as the go-to man of choice if you want some pedal steel on your album.